After 18 months of development and testing TAB Computers have launched a new cloud backup service branded Polaris Backup which can back up not only your every day data files such as Word docs, spread sheets and accounts, but also your constantly in use files including Microsoft Exchange, SQL databases, Oracle and System State backups. 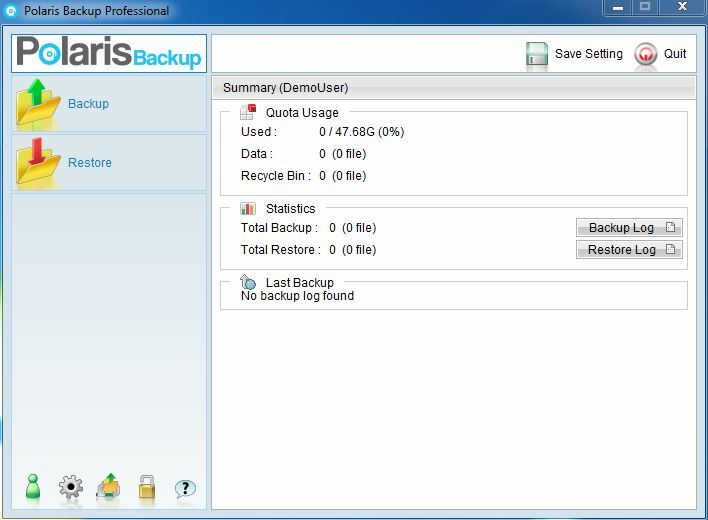 The cloud backup service, which works on all platforms including Windows, Mac and Linux, was developed in response to frequent customer requests and is now becoming a popular alternative to tape backup and backing up to hard drives, as there is no remembering to rotate the drives and no remembering to take them offsite each day. The main concern that customers had was the security aspect of handing their data over to someone else, but in fact the data is far safer stored offsite in an encrypted and unreadable format on a data centre server, than stored loose in your own premises where it can be stolen along with the server that created it. Additionally, by uploading the backup away from the premises, it is safely out of harms way if the building were to burn down overnight, destroying the server and the backup drive together. Don’t be fooled by its simple interface. Under the hood it is among the most powerful cloud backup software’s on the market today, with features not found in many other softwares. Security– Your files are encrypted during transmission and stored on the data centre servers in an encrypted format, ensuring that no unauthorised users can access your critical business information. If you are interested in discussing our new cloud backup service with a member of the team, we are currently offering a 14 day trial free of charge and also a money back guarantee if you try it for a month and decide that it’s not for you.